MELBOURNE defender Heritier Lumumba will have a delayed start to pre-season as he seeks further information about ongoing issues related to concussion. The 30-year-old did not begin training with the full squad on Monday, having battled concussion issues in the back half of last season. Although he has passed Melbourne's tests relating to the concussion, as new coach Simon Goodwin said a fortnight ago, the Demons are supportive of Lumumba's desire to gain further information before returning to the track. Melbourne football manager Josh Mahoney said Lumumba's health was the number one priority. "Heritier did not train today with the full squad as he is currently gathering additional information about his health before making the decision to return fully to pre-season training," Mahoney said. "We have been very diligent with our concussion management and we are supportive of Heritier gathering this information." Lumumba only played one VFL game after round six in 2016 and the ongoing concern will inevitably throw doubt on his future, although the Demons say a delayed start to training is of no concern. 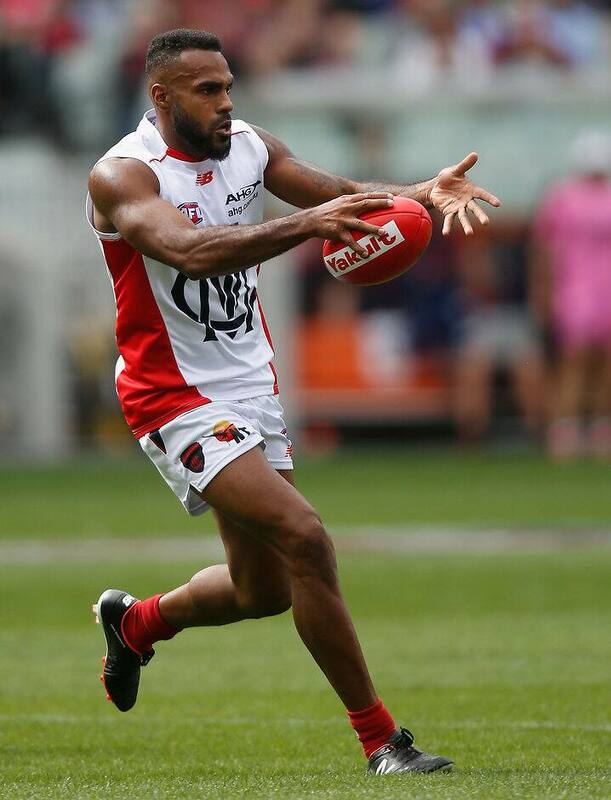 Lumumba has played just 24 games in two seasons with Melbourne after moving from Collingwood at the end of 2014 with 199 games and a premiership in his resume. He joined the Demons as part of a trade that saw Mitch Clark go to Geelong from Melbourne and Travis Varcoe head to Collingwood from the Cats. Lumumba was All Australian in 2010 as he became a key part of the Magpies' stingy defence that won the Grand Final replay against St Kilda to land the club's first premiership in 20 years. He began his career with the Magpies in 2005 after being selected as a rookie and gradually cemented a spot in the line-up, becoming an outstanding running defender as Collingwood rose up the ladder.